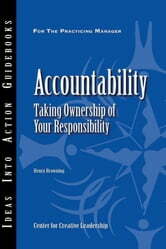 More and more managerial challenges require leaders to be accountable-to take initiative without having full authority for the process or the outcomes. Accountability goes beyond responsibility. 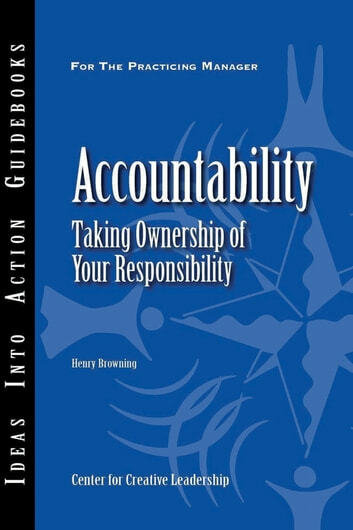 Whereas responsibility is generally delegated by the boss, the organization, or by virtue of position, accountability is having an intrinsic sense of ownership of the task and the willingness to face the consequences that come with success or failure. Through this guidebook you will learn how your organization and its leaders can create a culture that fosters accountability by focusing on five areas: support, freedom, information, resources, and goal and role clarity.